Rep. Jerrold Nadler, D-N.Y., told ABC News Chief Anchor George Stephanopoulos on "This Week" Sunday that, "We could subpoena the final report. We could subpoena Mueller and ask him in front of the committee and ask him 'what was in your final report?'" 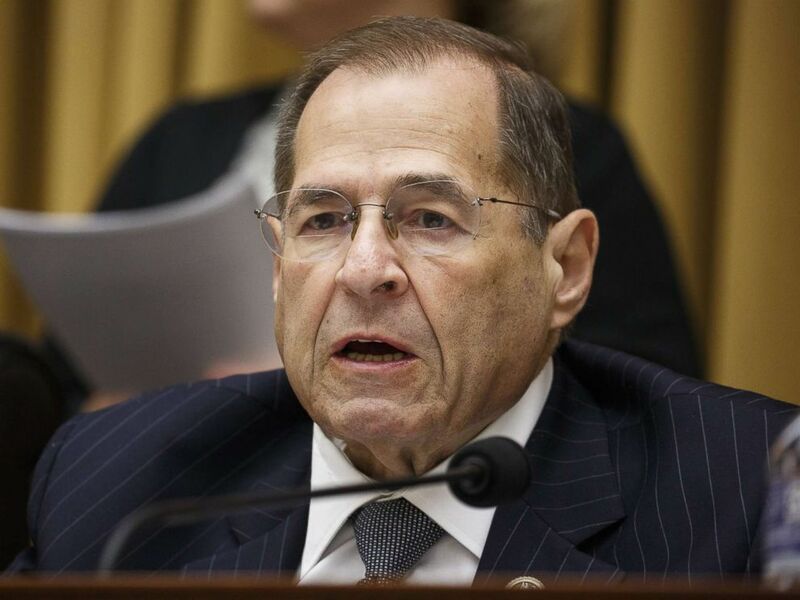 Representative Jerrold Nadler, a Democrat from New York, speaks during a House Judiciary Committee in Washington, July 17, 2018. Nadler is the current ranking member and incoming chairman of the House Judiciary Committee after Democrats won control of the chamber in Tuesday's midterm elections. 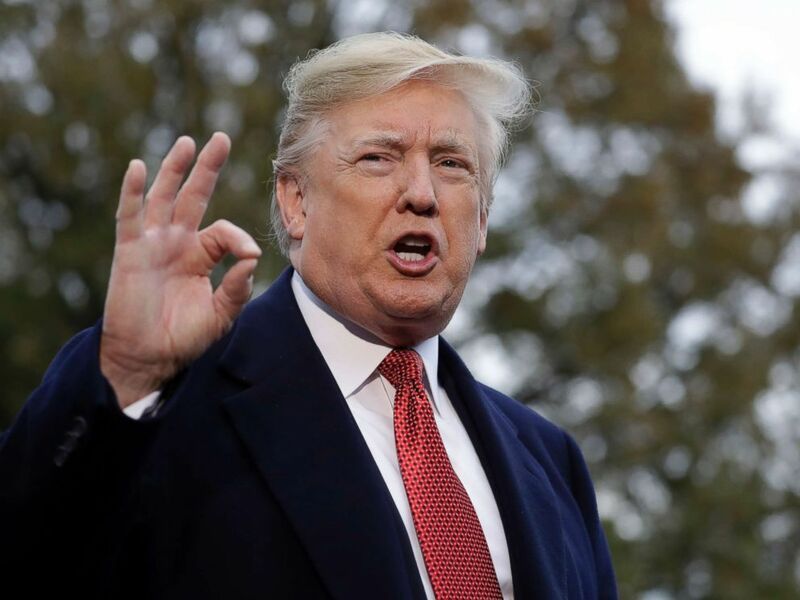 The committee is responsible for oversight of the federal courts, federal law enforcement, the Department of Justice and would be the first body to consider articles of impeachment in the House. "The firing of Attorney General Jeff Sessions fits a clear pattern of interference from President Donald Trump," he wrote in the statement. "If he abuses his office ... then there will be consequences." Matthew Whitaker, President Donald Trump's acting attorney general appointment, has generated controversy since he has previously expressed criticism of the Mueller investigation into Russian interference in the 2016 election. He wrote in a 2017 op-ed for CNN that the probe should have been limited. 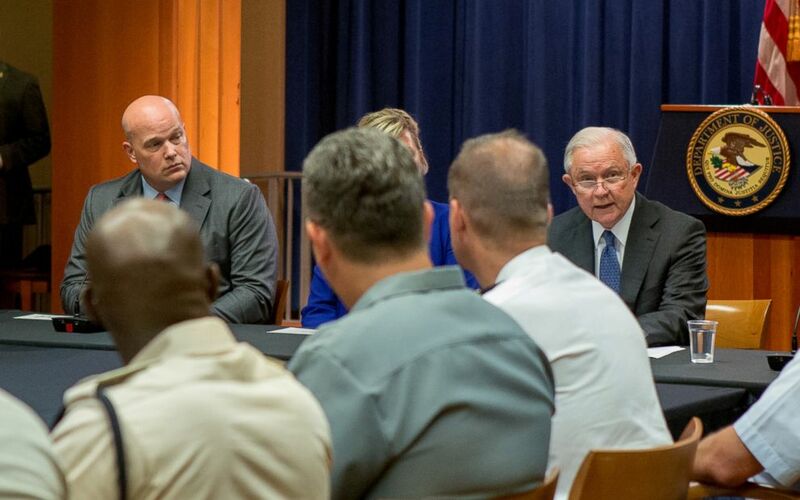 Matthew Whitaker looks over at Attorney General Jeff Sessions during a round table discussion with foreign liaison officers at the Justice Department in Washington, Aug. 29, 2018. Nadler told Stephanopoulos that he doesn't think the appointment of Whitaker was legal, and that the appointment is part of a pattern. "His appointment is simply part of an attack on the investigation by Robert Mueller," Nadler said on "This Week." "It's part of a pattern of interference by the president and part of a pattern of obstruction ... of that investigation." Later in the program, counselor to the president Kellyanne Conway said that Whitaker was chosen in order to have a "continuum" in the leadership at the Justice Department, by having someone who worked for Sessions take his place. Conway also dismissed the concerns surrounding the president's supposed political motive for appointing Whitaker and his past statements regarding Mueller. "There's actually no evidence to me that Mr. Whitaker knows anything about the ongoing Mueller investigation," Conway told Stephanopoulos. "He's been the chief of staff to the recused attorney general for 13 months. But the president wanted to have a continuum. "I think comments that Matt Whitaker made as a private citizen on cable TV does not disqualify him from being fair and impartial, by overseeing this investigation." "We will make sure that Matt Whitaker immediately -- one of our first orders of business will be to invite him, and if necessary to subpoena him ... to appear before the committee," Nadler said. But when pressed on whether he believes the president has obstructed justice, Nadler said he can't yet make that determination. "I'm not prepared to say that," Nadler said, later adding, "We will provide a check and a balance, we will hold the president accountable. He will learn that he is accountable, that he’s not above the law and that's part of what we’ll have to look at."